We stand behind our work and guarantee it with a warranty. It is our goal to solve your nuisance wildlife problem permanently. We identify the cause of the problem and fix it. Repairing the holes to prevent the return of wildlife is our number one goal. If an animal gets past our repairs, we will repair it at no additional cost. We are not responsible for damages to your home or property caused by wildlife during the removal process. We will not be held responsible for human or animal contact such as being bitten or scratched. Warranty starts the date of service and is transferable to new homeowners. No warranty work will be completed until account is paid in full. 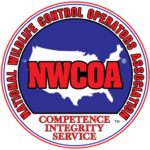 Below is more detail for each wildlife control program we offer. Estimates/Inspection: Your inspection fee is due during the time of inspection. At the time of the inspection or via email you will receive an estimate for a wildlife control program we recommend. Your estimate is always good for one year from the time of the inspection. If we do not perform any work on your home to get rid of the problem wildlife, an additional service fee will be charged for a new inspection. If you have already received an inspection from another company and charged a fee, you may be covered under our “free competitive bid” program and not charged a fee for an estimate. Bat Removal: (Covered) We guarantee all our work and back it with a full five-year warranty. Our estimates and service contract are for removal and bat proofing your entire home or building. We seal all openings ½” high x 1 ½ “wide where a bat can enter your home or attic. We provide a full five-year warranty on repairs to your home for bat prevention and exclusion. It is understood that 50% payment is due to schedule this job. Balance must be paid within 30 days after the work is completed. If there is a re-entry of a bat into your home or attic we will return for no additional cost. One-way door removal is included upon our discretion or sooner if request by homeowner, after a minimum of 15 days. For jobs completed over the winter, we will return in the spring upon a scheduled appointment from the homeowner. For jobs completed over the spring and summer, we may return in the fall upon a scheduled appointment from the homeowner. Will not remove one-way doors until account is paid in full. Exclusions are considered complete upon installation of one-way doors. Note: One-way doors cannot be installed during Maternity season of June and July. The removal of one-way doors does not in any way signify the completion of the job and should in no way constitute withholding of payment. For bat removal of log cabins and cedar shake roofs we only warranty for one year. Log cabins shift so much there is no guarantee the house will stay sealed up for five years. For a reduced yearly maintenance fee, we will return and touch up our repairs to maintain a bat free home. 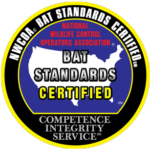 Bat Removal: (Not Covered) If all recommended repairs on your estimate/contract are not sealed by Michigan Bat Control, Inc. no warranty can be provided. Bats getting into homes through open doors or windows will not be covered. A dead bat found in the attic or house is not covered under our warranty, however we will return for an additional service fee to remove the deceased bat. Bats hanging on the exterior of the home, roosting behind shutters, roosting under loose siding, roosting underneath eaves or roosting in gable vents we did not screen from the outside of the home will not be covered under the warranty. Noises heard over the winter may be dealt with during the following spring season as we cannot guarantee to get rid of the bats during winter. We will return for no additional cost if scratching noises are heard during the five-year warranty period. If we determine through test traps you are not hearing bats, additional trapping fees will apply. This includes birds, mice, squirrels, raccoons, and all other wildlife. If a bat enters the home during the warranty period, we will not be held responsible for human or animal contact such as being bitten or scratched. We will not provide testing or medical advice. New roofs, weather damage, or any other damages to the outside of your house will require a new inspection, estimate of repairs, and repairs completed to continue your bat removal warranty. Bats may not leave the roost and you may still encounter bat activity (scratching and bats in the house) for exclusions done during hibernation period (Oct- April). We can return during this time to remove any bats in the house. If clean-up is needed, we will provide an estimate which will be an added service to your bat exclusion program. See attic restoration. Wildlife Trapping/Relocation Program: Service agreement term is good for 30 days from initial service call (set-up fee). During your 30 days of service we will return and re-bait any traps, if necessary. Set-up fee is due the day traps are set. Traps set on your property may catch other wildlife other than the targeted animal. (No additional charge for removal) We set the traps, so customers can easily see the traps at a safe distance. It is the customers responsibility to inform us immediately when any animals are captured. For nocturnal wildlife please call our office or email before 8 am. Animals may be picked up the following day if calls come in too late. Law requires us to remove any captured animals within 24 hours. If we are not notified in a timely manner we reserve the right to terminate this contract for improper treatment of animals. Traps may be removed without notice by us, when we determine the problem wildlife have moved on, even if said wildlife has not been captured. Set up fee for animal removal will not be reimbursed for animals that relocate themselves without being trapped. We may continue to trap after 30 days if we feel your nuisance wildlife matter has not been resolved. We will keep traps on your property at our discretion. For raccoon relocation, eviction fluids may be used. We are not responsible for damages to your home, lawn, or property by animals during their removal. Wildlife damage repairs are not included in your wildlife relocation price. A separate estimate will be given for wildlife proofing. No one other than an employee of Michigan Bat Control, Inc. or Michigan Wildlife Solutions, LLC can handle the traps without consent. We have the right to void your contract if we determine our traps have been tampered with. i.e. letting captured animals go. It is important to let all neighbors know there are traps on your property. Anyone bitten or scratched by an animal should contact emergency services as soon as possible. (Covered) Much like our bat removal program we warranty all our repairs for bird control for five years. If birds, make it back through our repairs we will fix the problem at no additional cost for five years. Installation of visual deterrents such as the intimidator and optical gels will be covered for 90 days. If they come down, we will return to reinstall them within the 90 days. For physical deterrents such as bird spikes and bird netting we will warranty for one year. If they get through our physical deterrents we will fix them. Bird control: (Not Covered) Removing bathroom vent or dryer vent covers will void the warranty for that service. New roofs, weather damage, or any other damages to the outside of your house will require a new inspection, estimate of repairs, and repairs completed to continue your bird removal warranty. Removing nest from the dryer or bathroom vents can not be guaranteed. Some vents may require duct cleaning by an HVAC company. Visual deterrents are not guaranteed but may be warranted by manufacture. We are the installers of this product and cannot guarantee the effectiveness. Mice Control: (Covered) We do not use poisons! We provide a safer alternative solution to rid you of your mice problem. Your initial service call includes attic inspection, roof inspection, perimeter inspection of the home, installation of traps and sealing one main entry point. During the inspection we provide a full written report along with a complete whole home mouse proofing estimate to rid you of your mice problem (This is recommended). Your estimate is always good for one year. After the inspection we return in 7 to 10 days to remove any mice in traps. If we determine the mice problem has been resolved, we will remove all traps at that time. If all traps are full we will reset them and return in another 7-10 days. If you opt into our whole home mouse proofing, we will return to your home for up to 6 months and set new traps at no additional cost if the mice problem reoccurs. If a mouse chews through our repairs, we will repair it at no additional cost for five years. Mice Control: (Not Covered) After 30 days we will not be responsible for new mice, but will return at a reduced service fee. Any new openings chewed through by mice are not covered, but can be fixed at an additional fee. New scratching after your 30-day mice control program will not be covered without a service fee unless you opt in to our whole home mice proofing. New roofs, weather damage, or any other damages to the outside of your house will require new inspection, estimate of repairs, and repairs completed to continue your mice removal warranty. Mice can return by chewing new openings at any time. Our repairs are strictly designed to control your mice problem, cut down on entries and runways. 60 percent of all homes can be completely mice proofed, but not all homes. Annual maintenance programs are best to solve your mice problem. If clean-up is needed, we will provide an estimate which will be an added service to your mice control program. See attic restoration. Squirrel Control: (Covered) Our squirrel control program is much like our mouse program and designed to remove the existing nest. Your initial service call includes attic inspection, roof inspection, and perimeter inspection of the home. Our squirrel control program includes the setup of one-way doors, multi-catch traps, repeater traps, and snap traps in the attic or on the roof. For repeater traps or live traps, we require you to call with any captured squirrels. After the nest of squirrels are removed we will repair the main entry point at no added cost to you. 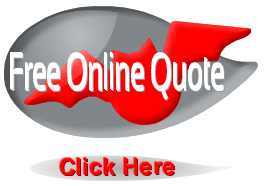 If there are multiple potential entry points we will give you a whole home squirrel proofing quote. (This is recommended) This will also keep other wildlife out as well. Your estimate is always good for one year. If snap traps are installed in the attic we will return within 7-10 days to check the traps upon scheduled appointment. We will continue to remove any additional squirrels for up to 30 days (if necessary). If you opt into our whole home squirrel proofing, we will return to your home for up to 6 months and set new traps at no additional cost if the squirrel problem reoccurs. If a squirrel chews through our repairs, we will repair it at no additional cost for five years. Squirrel Control: (Not Covered) New openings chewed through by squirrels are not covered, but can be repaired for an additional fee. Squirrels running on roofs and/or gutters are not covered. Not responsible for damages by squirrels during the removal process. New roofs, weather damage, or any other damages to the outside of your house will require a new inspection, estimate of repairs, and repairs completed to continue your squirrel removal warranty. New squirrel activity after your 30-day squirrel control program will not be covered without a service fee unless you opt into our whole home squirrel proofing. Quarterly or annual maintenance programs are best to solve your squirrel problem. If clean-up is needed, we will provide an estimate which will be an added service to your squirrel control program. See attic restoration. Attic Restoration, Insulation & Insurance Work: Most damages to your insulation requires insulation replacement. Some homeowner’s insurance companies may pay for this if caused by nocturnal mammals, such as bats and raccoons. Customers are responsible to pay their deductible. We require 50% of total net payment prior to starting work. All payments whether paid by the homeowner or insurance company must be paid upon completion of work. The amount of contaminated insulation, stated in square footage on estimate, and waste will be removed and re-insulated to the proper R-Value agreed to in your estimate. Only responsible for animal waste removal specifically stated on your estimate. ie not included in soffits or walls unless stated on your estimate. Waste container may be on or off site and customer is responsible for cost. Your service contract covers the repair or replacement of any repairs that we have made and/or products we have installed, including but not limited to: To receive service under this warranty please contact our office by phone or email. A technician will be scheduled for a return visit to further assess your wildlife problem.